If you have difficulty sleeping, get an unusually rapid heartbeat when exercising or you are easily fatigued then you may suffer from anemia, a disorder that affects individuals who have a lack of red blood cells, responsible for carrying oxygen throughout the body. People who suffer from anemia often have a deficiency of hemoglobin, the protein the gives the red color. However, in most cases, anemia is caused by iron deficiency. It is estimated that 1 in 10 teenage girls suffer from anemia as a result of their monthly blood loss and not eating the proper foods for building their blood. There are many factors which can cause anemia. Some of the most common ones include prolonged medication, menstruation, heavy metal poisoning, and poor dietary choices. In order to reintroduce iron into your system and get your red blood cells operating at full speed, you should make a few changes in your diet. The deficiency of oxygen in an anemic person can make them weak, fatigued, with heart palpitations, and weak nails and hair. Iron is extremely important for the synthesis of red blood cells and hemoglobin. 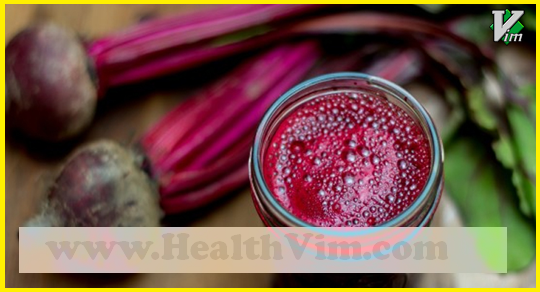 Start drinking these beneficial juices and you will be able to rebuild your red blood cells! Beetroot is a great source of iron while carrots have the ability to make the iron absorption easier. Brewer’s yeast is also included in the recipe since it is very beneficial for lowering blood sugar in diabetics and relieving headaches. Lemon is a great addition to this juice. Not only it will enhance the taste, but will also ensure better nutrients absorption. Note: Brewer’s yeast is not recommended for people who have Candida infection or similar fungal diseases! This juice also has a rich content of iron. The presence of vitamin C in this combo just makes the absorption of iron easier. Check the recipe! Wash all the ingredients. Cut the radishes and beetroots into small pieces. Put all the ingredients through your juicer. That is it! Enjoy! Its strong taste indicates how powerful this juice is against anemia. Parsley is a great source of iron. Lemon juice just helps to absorb the iron easily. It is recommended to drink this juice 30 minutes before your meal. Wash all the ingredients well and put them through your juicer. If you are using a blender, make sure to add 1 cup of almond milk (or water) for ease of blending. HealthVim "health","fitness","healthy food","healthy tips","DIET","WEIGHT LOSSG", Get the latest Health News: breaking health and medical news from the UK and around the world, with in-depth features on well-being and lifestyle. Copyright ©2016 Health Vim • All Rights Reserved.